If you took high school chemistry, you might remember using pH indicator strips. 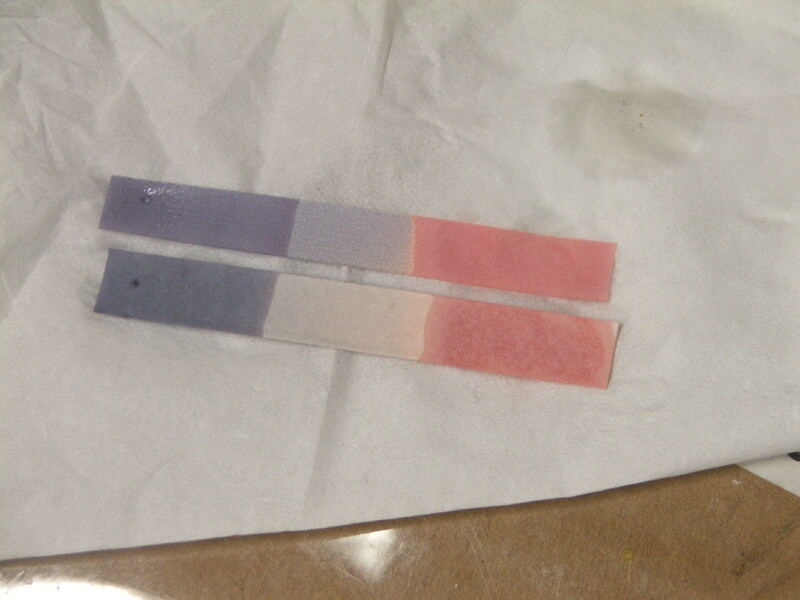 You’d take a piece of the specially treated paper, dip it in your solution, and watch it change color depending on whether you had an acid or base. At the time, you might have been more excited by the fact that the paper changed color than about what you were accomplishing with the task. However, chemical sensors aren’t just visually appealing—they also play an important role in monitoring conditions both inside and outside of the lab. In particular, as environmental pollution becomes a greater concern, scientists are searching for new ways to monitor levels of potential contaminants. We want to know how much nitrogen is in our lakes, if there’s too much lead in our drinking water, and whether an area contains harmful explosive materials. While we already have methods to monitor many pollutants, environmental chemists are designing nanomaterials that can detect these contaminants more inexpensively, efficiently, and selectively than old-school sensors! So what makes these small-scale structures such appealing detectors? First, because they are so tiny, nanoparticles have a very high surface area to volume ratio. You can imagine this concept by picturing a loaf of bread. The bread has a surface—the crust—that is exposed to the outside world. If you tried to spread Nutella on top of the crust, you would probably be disappointed. But now imagine slicing the bread. You still have the same amount of it in total, but because it is in smaller pieces, you have more space to slather on your favorite toast topping! As particle size gets smaller, the surface area to volume ratio gets larger. Nanoparticles are almost all surface! Similarly, in a chemical sensor, increased surface area means more exposure to the target compound and greater ability to detect its presence at low concentrations. Nanomaterials, with their very fine structure, take this concept to an extreme level. Their increased surface area makes them both more efficient and more powerful! Nanomaterials are also easily customizable; their size, structure, and composition all influence their properties, and together, these variables produce a nearly endless array of combinations. This means that with just a slight variation, a type of nanoparticle that detects one compound could sense a different one instead. Importantly, scientists have devised ways to control these properties, altering the size, shape, and structure of the final material just by changing the conditions under which it is synthesized. To go into this in more detail, let’s look at a recently designed model for a nano-based sensor. 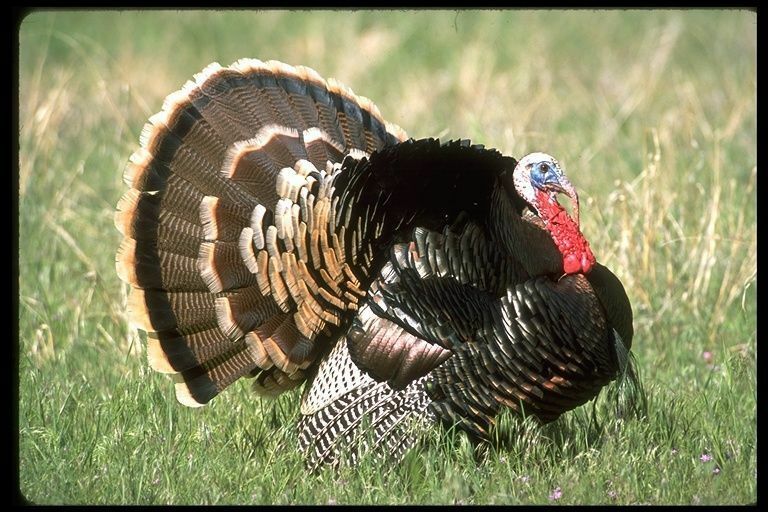 Scientists at the University of California-Berkeley drew inspiration from turkey skin, which changes colors when the animal becomes stressed or excited because it contains proteins arranged in nanostructured bundles. Excitement causes the blood vessels in the skin to swell and stretches the nano-bundles, which changes how they reflect light and therefore what color they appear. These researchers created a synthetic replica of the turkey skin’s nanoscale structure using phage, viruses that infect bacteria. (Phage don’t pose a threat human health, but are often used in bioengineering research.) They engineered the phage to recognize and bind to a specific compound; then, under the right chemical conditions, the phage assembled into a thin layer of nanostructured bundles. When the target compound was present in the atmosphere, it bound to the sensor and caused the nano-bundles to change their spacing just as they had in the turkey skin. The result: a color change in the detector’s surface, precisely quantified using an iPhone app that converts the color into a discrete value. Here’s the cool part: by infecting the bacteria with different types of phage, the researchers could control what compound their sensor would detect! They extensively tested their model using the vapor of an explosive material called TNT, but the idea could be applied to any number of toxic or dangerous compounds just by modifying the phage used to create the device. Their model highlights many of the advantages of nanomaterial-based sensors. It’s sensitive—when more of the compound is present, the nano-bundles stretch more and the color change is greater. Scientists can tell how much of the compound is present based on degree of the color shift! It’s specific—the sensor can be engineered to recognize and respond to a particular molecule. It’s efficient—the sensor is easy to assemble, and the output can be clearly read through the color change. Despite the promise of sensors like these, more traditional methods for detecting the presence of certain molecules will likely stick around for a while. They’ve been more thoroughly tested than these cutting-edge nanosensors, and they’re engrained into our society, used in devices found around us every day—not just your high school chemistry class. For example, if you’ve ever had the TSA swab your hands in the airport security line, you’ve provided data for a major application of sensing technology. The TSA uses a technique known as Ion Mobility Spectrometry (IMS) to detect trace residues of dangerous materials on the hands of travelers. IMS separates out molecules based on the speed with which they travel through a gas-filled chamber; molecules can be identified based on their relative mobility. Like nanosensors, IMS-based sensors can be portable and easy to use. However, nanosensors bring a level of specificity, sensitivity, and flexibility that traditional sensors lack, giving them the potential to greatly advance our environmental monitoring capabilities!